The city development of Detroit started by the river, but ended with the car. Detroit has passed through years of deep transformation, where the car as the city’s status symbol lost its uniqueness. Detroit needs to re-orientate, but where to go? 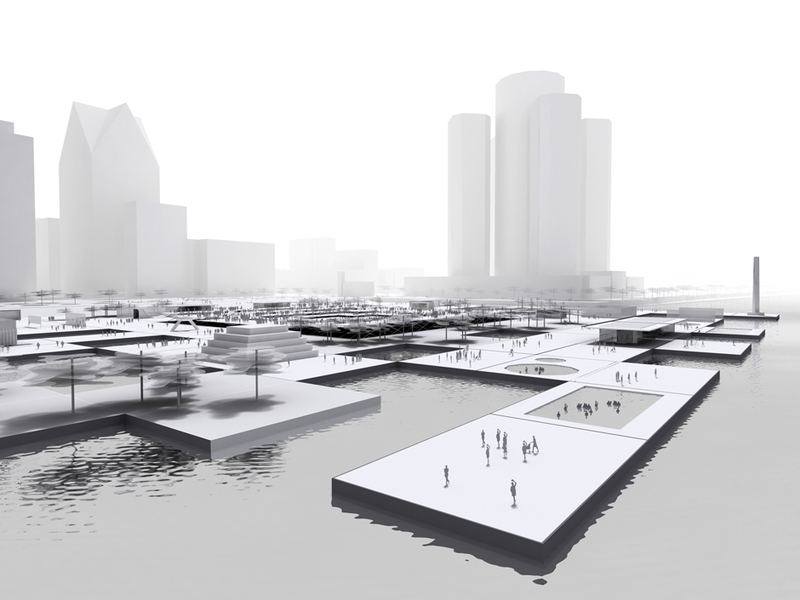 It would be the right moment to bring Detroit back to its roots, to focus again on the riverfront by creating there a public space as a new urban center. But this new urban center is not meant to be a formal and rigid place, but above all a place gathering different layers of activities for all kind of people. With those alternate activities the new central plaza should change the spirit and its image. 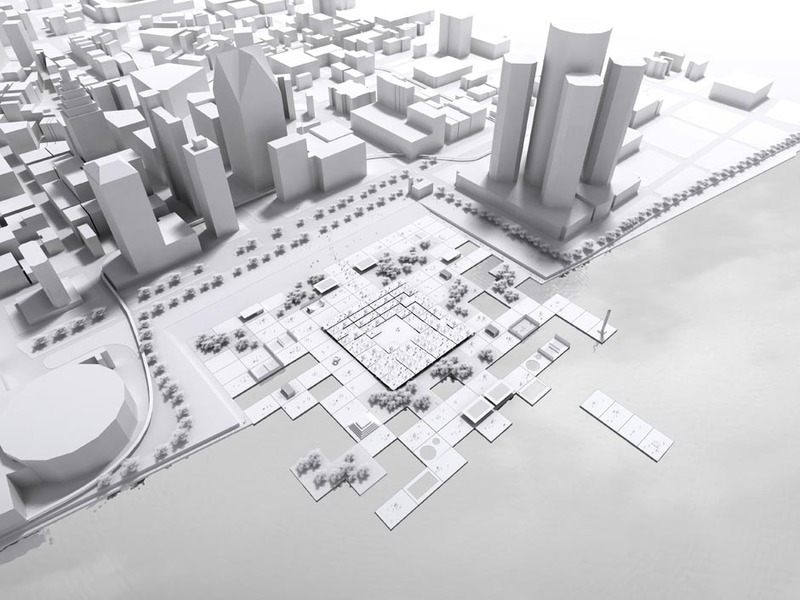 Accordingly the design of the new central plaza, situated on the Detroit riverfront should not be static, but dynamic and altering from one appearance to another. 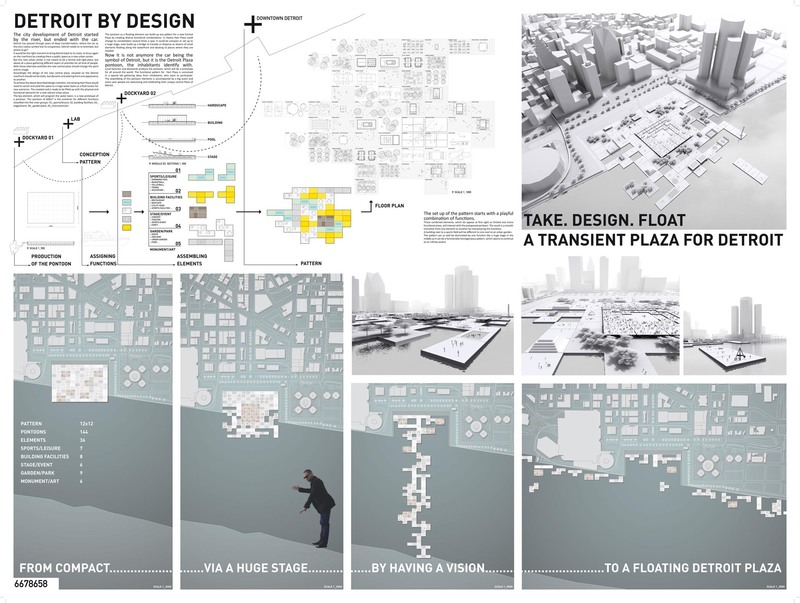 To achieve the above described design intention, the existing Hart Plaza would need to vanish and yield the space to a huge water basin as a fluid screen for new scenarios. 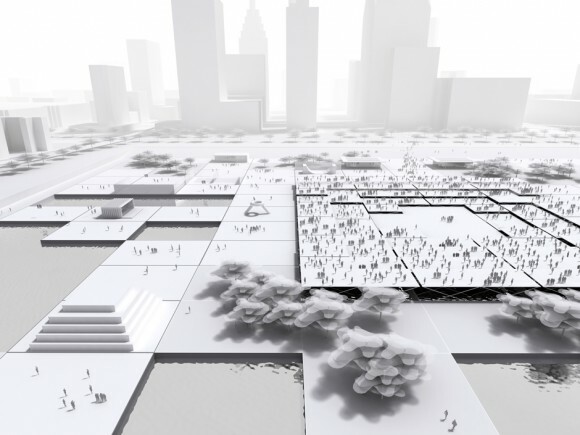 The created void is ready to be filled up with the physical and functional elements for a new vibrant urban plaza.The key element, which will program the water basin, is a new prototype of a pontoon. This pontoon of 600m² is the container for different functions classified into five main groups: 01_sports/leisure, 02_building facilities, 03_stage/event, 04_ garden/park, 05_monument/art. The pontoon as a floating element can build up any pattern for a new Central Plaza by creating diverse functional combinations. In theory Hart Plaza could change its constellation several times a year. It could be compact or set up to a huge stage, even build up a bridge to Canada or disperse as dozens of small elements floating along the waterfront and docking to places where they are needed. Now it is not anymore the car being the symbol of Detroit, but it is the Detroit Plaza Pontoon, the inhabitants identify with. Local factories and dockyards produce the pontoon, which will be a prototype for all around the world. 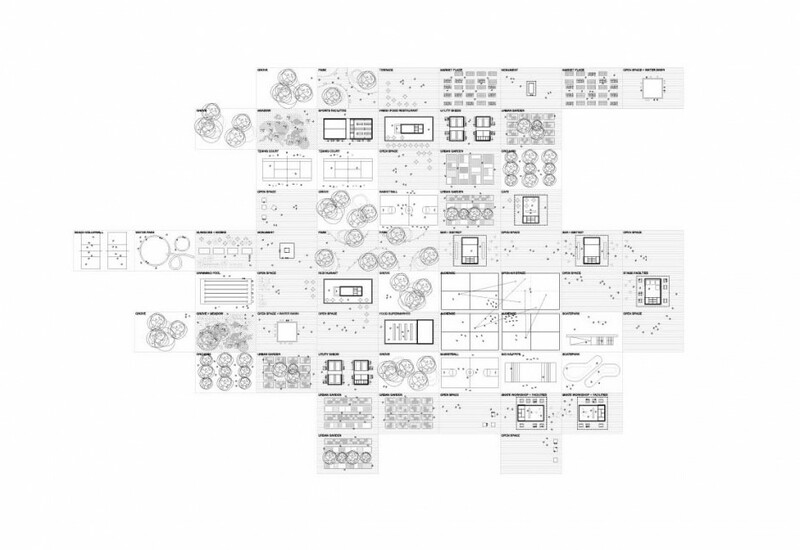 The functional pattern for Hart Plaza is conceived in a special lab gathering ideas from inhabitants, who want to participate. The assembling of the pontoon elements is accompanied by a big event and every year people are welcoming and celebrating their unique central Plaza of Detroit.